I’m going to take a liberal definition of “weekend” for today’s 10 on Tuesday topic – 10 Things I Did This Weekend (provided by Carole, as per usual) – because I took a few days off from work last week while my sister and nephew were in town, making my holiday weekend even longer. * And also, some really cool stuff happened before the weekend technically started. 1. Shook Michelle Obama’s hand. 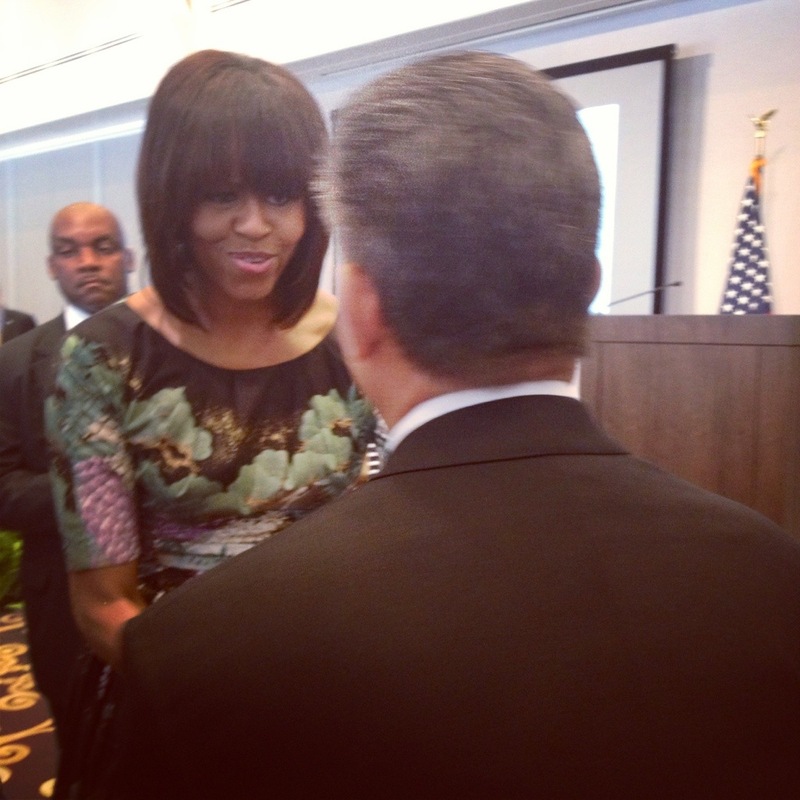 On Wednesday, I got to attend (and live-tweet) a work event where the First Lady was the featured speaker. Though she wasn’t able to stay long enough to take pictures, she was very gracious about shaking hands and saying hello to many of us. She’s much taller in person than I expected. The First Lady shakes hands with the guy sitting in front of me… who just happened to be Ted Leonsis, owner of my beloved Washington Capitals. 2. 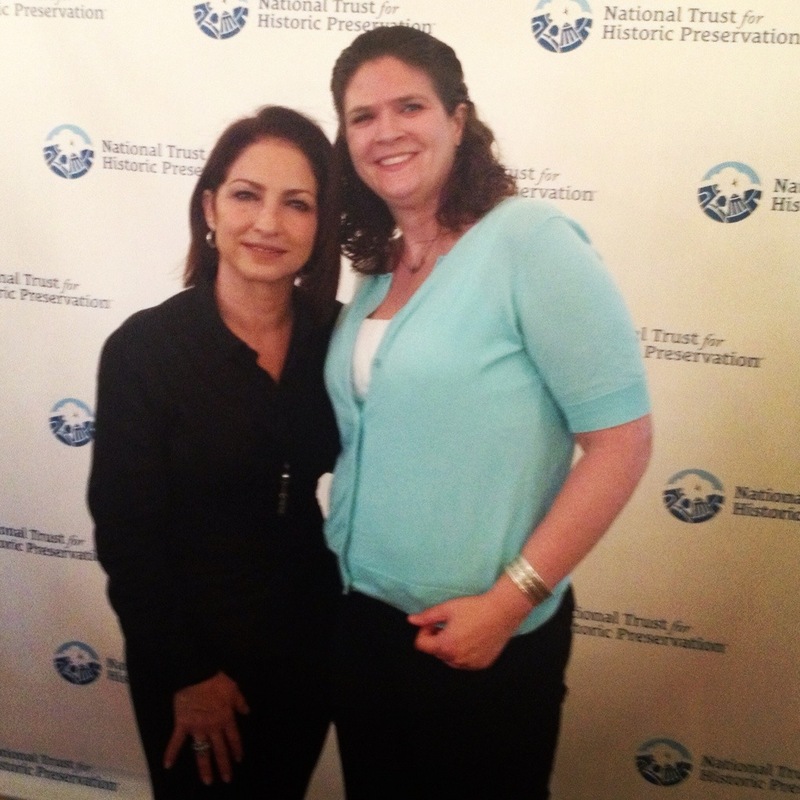 Met Gloria Estefan. In early May, the job announced Gloria Estefan as the “voice” of our campaign to save Miami Marine Stadium, and last Thursday, she came to our offices to talk with us about preservation and music and suchlike. Again, more live-tweeting (and asking questions on behalf of the Internet), but this time I got a photo! Gloria Estefan! My inner 13-year-old was pretty damn excited, let me tell you. 3. Spent time with my sister and nephew. And my mom. And my cousins. Eileen and James were in town to visit, so I spent a lot of time hanging out with them – and Mom came down to join in on the fun. On Saturday, we added Susan and the Pennsylvania cousins (and a few others; see below) to the mix for a big family cookout at my brother and sister-in-law’s house. 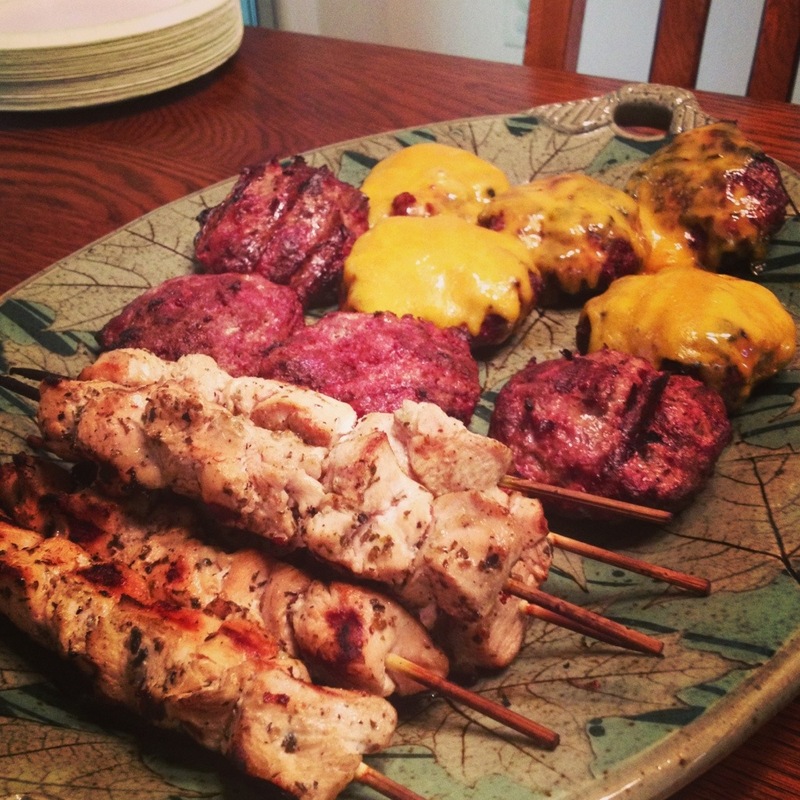 Spiedies and hamburgers and cheeseburgers, oh my! 4. Saw BFF Shannon. She and her husband, Steve, were in town to ride in the Rolling Thunder motorcycle rally for Memorial Day (which I did with him a few years back) and so I had the chance to spend most of the day on Saturday with her. 5. Went to Wegmans. Twice. This shouldn’t be important, but as both a Central New Yorker who grew up with Wegmans and as someone who loves food… well, it’s just the pinnacle of all grocery shopping. 6. 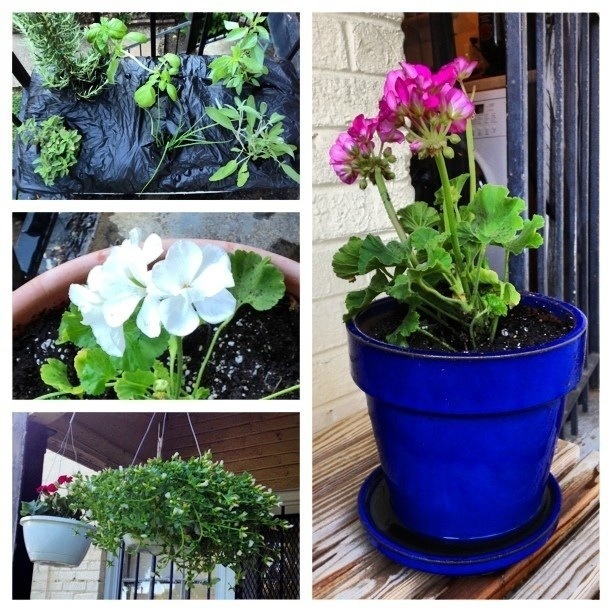 Planted my porch garden. I am super-late on getting it planted this year, but between being busy and the fairly crappy weather this spring, neither the time nor the urgency was there. But now, I’ve got some flowers and herbs going, so all is well. 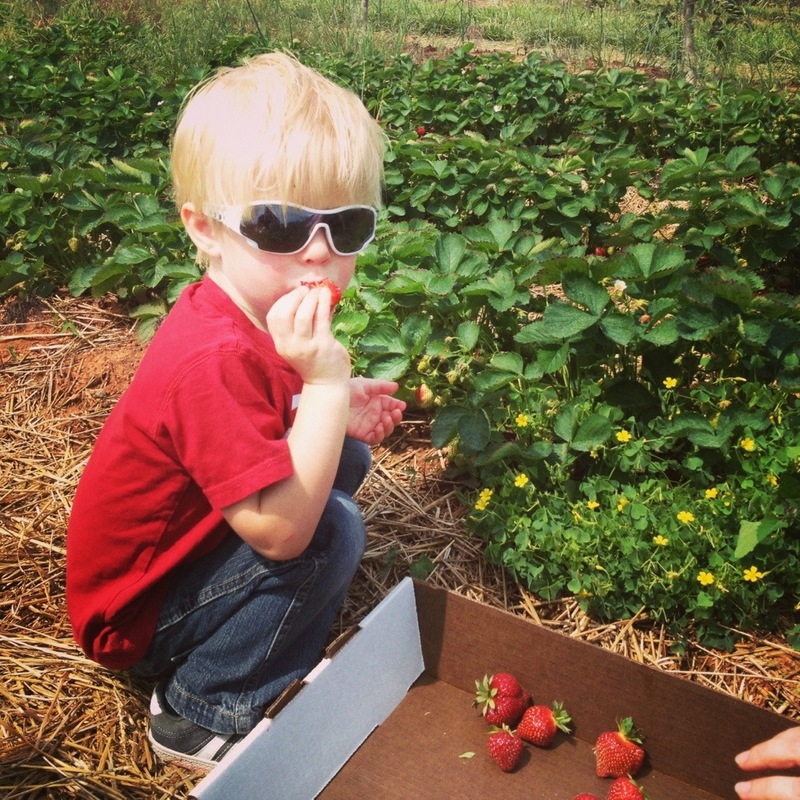 James did an excellent – and enthusiastic – job as our strawberry picking QA manager. 8. Rode a very small ferry. 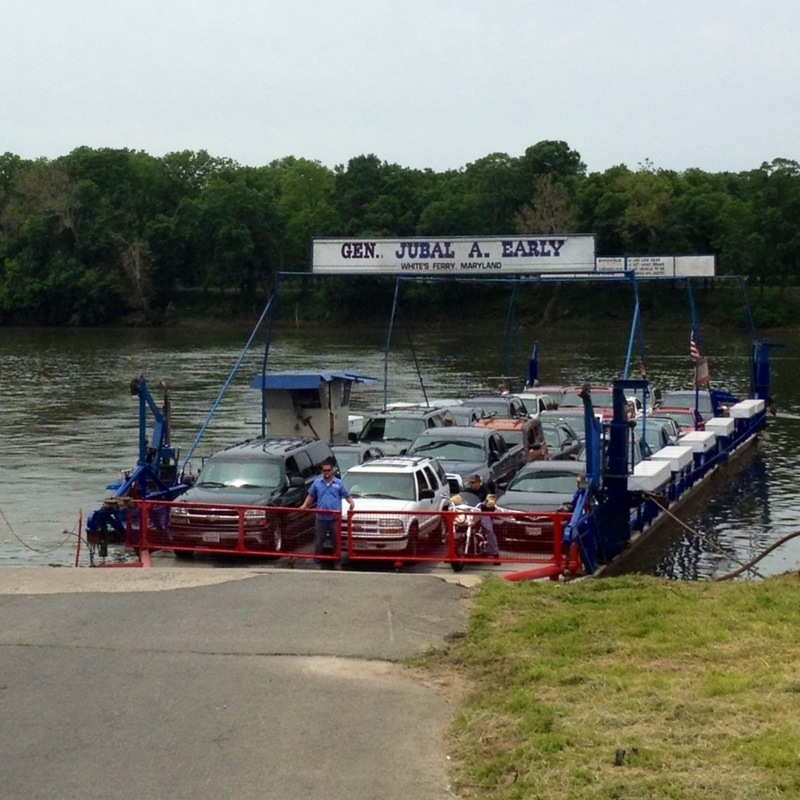 Did you know it’s possible to take a ferry across the Potomac? I did not until this weekend. It only takes about five minutes – if you don’t have to wait in a long line to board, like we did. “That’s not a ferry, that’s… a raft!” my mom said when she saw this the first time. And I can’t disagree – it’s pretty tiny! 9. Introduced Eileen and Shannon to my current musical obsession, Kacey Musgraves’ “Merry Go Round.” Give it a listen. You’ll be hooked too. 10. Drove. A lot. Because so much of this weekend’s fun took place out at Brian and Jen’s house, I went back and forth (45ish minutes each way) several times. I pretty much did about six months worth of driving in one weekend. It’s kind of exhausting. * Not as long as I planned, as the first two items make clear. Though I had intended to take Wednesday-Friday off, there was no chance on earth I would pass up either opportunity that arose, so I worked a couple of hours on two of my days off. It was pretty cool — though also really hard not to look like a giddy fangirl! Great summary, Sarah. It was a fun packed “weekend” for sure!! What a star-studded weekend! Also, I had no idea what a spiedie was so I looked it up. Sounds yummy! Spiedies are very local to the area where I grew up (Binghamton, NY), and even though neither my siblings nor I still live there, we make them for all the family cookouts… and lots of other times, too. So, so delicious!